Water hell are you waiting for?! 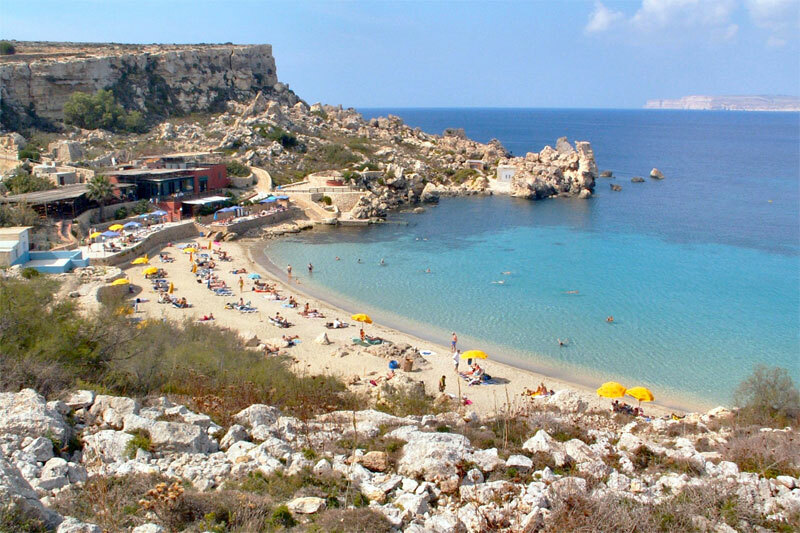 The Top 6 Swimming Spots in Malta. Foreigners, locals, friends! We’re sharing the 15 best places to go practice your butterfly stroke and soak up the sun. Our island is endowed with sandy beaches and rocky swimming spots, that offer a chance for a refreshing pit stop or a relaxing day with the family. Ghajn Tuffieha Bay is walking distance from Golden bay, boasting of a practical parking area and a beach quality of 70%. It receives locals and tourists alike and it is a Special Area of Conservation (SAC) due to its distinctive geological character. Accessibility: beach & water inaccessible for people with disabilities. This divine spot in the south of Malta is truly a natural work of art. Make sure to bring your own picnic (and definitely include some local gastronomy – traditional foods found here!) as there are no kiosks. The sea is crystal clear and offers excellent snorkelling opportunities. Additionally, it reserves some flat rocks around to deliver unspoiled sunbathing spots! Accessibility: beach & water access for people with disabilities. This is surely a beach with a view! One can see the islands of Gozo and Comino, and with plenty of amenities close to the sunbeds, this beach is truly a place for the family to relax. The Bay has achieved the European destination of excellence, and is managed by the Paradise Bay hotel. Accessibility: beach & water difficultly accessible for people with disabilities. 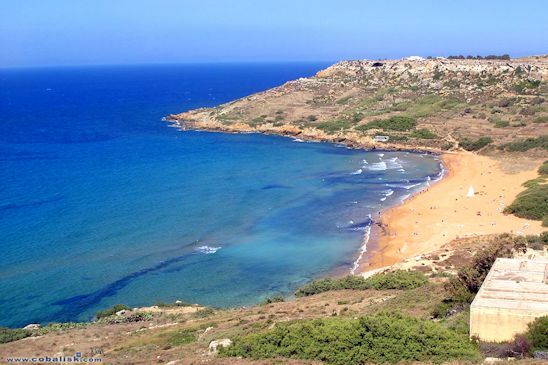 This beach is found on Malta’s sister island of Gozo! It’s sand is truly picturesque and it also has views of two caves, one alongside the Nadur valley and the other opposite on the Xaghra valley. The Xaghra cave is renowned for its mythological significance, as Homer’s Odyssey includes it to tell the story of Calypso. This is a gem every Gozitan holds dear to bathe in summer. It also has ecological value, as endemic flora grows alongside the beach. Type: coastal, sandy, rocky, beach. 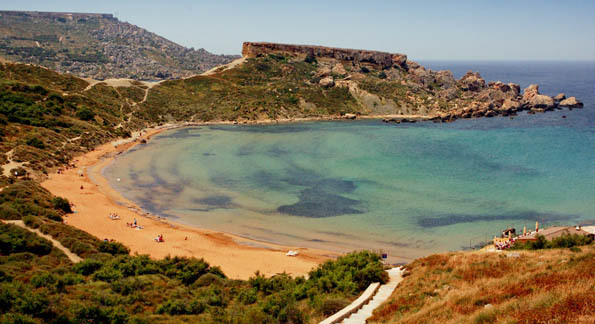 This beach is also found in Gozo, quite a downhill (then uphill!) challenge to arrive there, but it is surely worth the adventure. It makes up a truly pristine ensemble of Gozo and lets visitors immerse themselves in a natural physical unspoiled environment. Yet another pristine spot, this time, in the south of Malta. The area is rocky, but beautiful, with exceptional views. If you go at the right time, you’ll also observe an amazing sunset!